Students will learn proper breath and voice techniques as well as learn to sing in a variety of styles and languages. 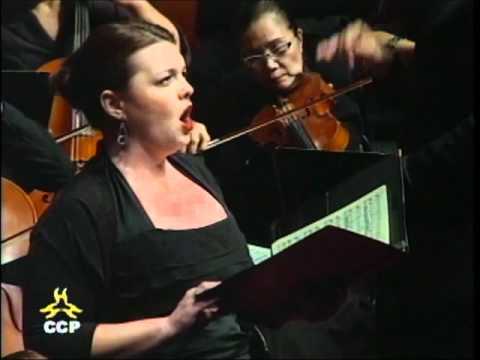 Mezzo Soprano, Nicole Birkland is a professional opera singer based in Napa, California. She has worked with The Metropolitan Opera, San Francisco Opera, Washington National Opera and has been a young artist with Merola Opera, Chautauqua Opera and Des Moines Metro Opera. Ms. Birkland is a pupil of voice teacher Jean McDonald who she has been studying with for 18 years. She passes on what her teacher has taught her, while adding her own touch and personal experiences as a professional singer. She loves to work with beginners who are learning to sing for the first time as well as experienced singers of all genres. She also has experience teaching choir and music from K-12. Ms. Birkland's experience and understanding of differentiating styles allows her to teach in any genre. Principal Soloist with The Metropolitan Opera in New York City, San Francisco Opera, Washington National Opera, Opera San Jose, Fargo-Moorhead Opera and young artist with Merola Opera, Chautauqua Opera, Sarasota Opera and Des Moines Metro Opera. Experience with teaching a variety of ages and skill levels. Performing Azucena in Il Trovatore by Verdi with Opera San Jose, February 2014. 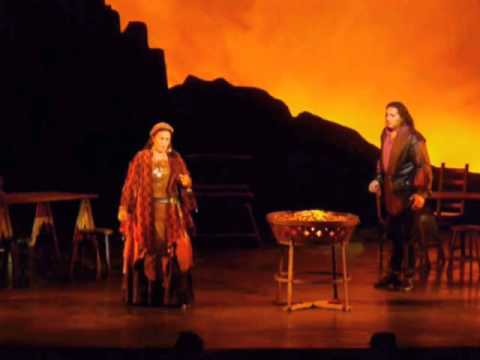 Azucena in Il Trovatore by Verdi with Opera San Jose in 2014. Finished another successful run of the Magic Flute at the Metropolitan Opera in NYC.